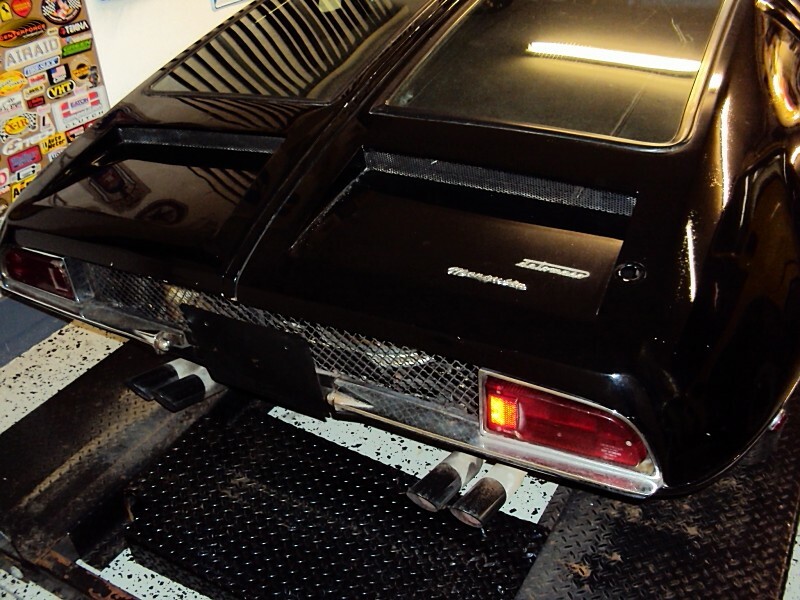 Just A Car Geek: 1969 DeTomaso Mangusta - A Shelby Connection? 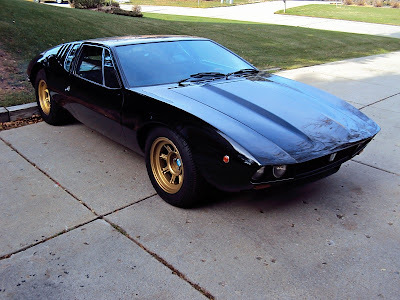 1969 DeTomaso Mangusta - A Shelby Connection? I'm not going to spend a lot of time on this car (although I'd love to spend a lot of time with this car. The Mangusta was, in my eyes, one of the nicest looking cars ever built), but I want to point it out. There's a "power bulge" on the front trunk lid. Odd, as the engine is behind the passenger compartment. The seller says there is an urban legend that Carrol Shelby put that hump in the hood. He writes, "According to the previous owner, this car was modified from day one by Carroll Shelby Enterprises in El Segundo, Ca., where the engine, trans, hood and paint were all reworked." That's certainly possible, as there is some Shelby and DeTomaso history around the time the Mangusta was being developed. Why Shelby would put a power bulge in the trunk lid of a mid-engined car is beyond me. Purely for aesthetics, I guess. It's an interesting story. Hopefully the buyer will do some research and post what he finds somewhere on the internet. Located in Troy, MI, click here to see the eBay listing.